Ambulance services are an area of concern as the United States attempts to reduce the $60 billion or more in tax dollars lost to health care fraud every year. Ambulance fraud can arise in both the contracting process and the provision of transportation services. Individuals who have evidence of it can report the company to the United States through the False Claims Act. Ambulance companies are reimbursed by Medicare when they provide non-emergency ambulance transportation to patients where it is medically necessary. When a cheaper alternative could safely transport the patient, Medicare does not cover the trip. If the company bills the government for ambulance services despite the availability of less expensive options, they are engaged in fraud. Non-emergency medical transportation by ambulance is not the norm. The alternative for most patients is frequently transport by wheelchair van. However, Medicare reimburses substantially less for transportation by wheelchair. Physicians are required to certify an ambulance is medically necessary for Medicare to reimburse the transport coverage for services. However, because providers are not required to submit the physician certification to Medicare, misconduct can be rampant among unscrupulous vendors. The most common area for issues is dialysis patients. Individuals with End-Stage Renal Disease receive dialysis an average of three times a week. According to government estimates, between 10 and 20 percent of those patients require transportation by ambulance between their home and a medical facility for treatment. The rest can be transported through a less expensive method safely. Cancer patients may also need transportation services for radiation therapy. After returning home from a hospital stay, an ambulance may be medically necessary for their trips to chemotherapy. However, at a certain point, it may no longer be warranted. When transportation can be provided safely through other alternatives, it must be. When vendors go bad, they may also bill the government for services they do not provide or do not have the appropriate documentation. 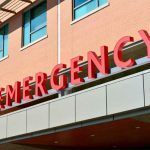 In the past, emergency medical technicians may have simply bribed medical staff or patients for business. The vast majority of schemes are more complex now. Medical transportation companies enter into contracts with hospitals, skilled nursing facilities and local governments to provide ambulance services. Inappropriate contract terms are used to improperly acquire business which ends up costing the United States government. When the company later submits bills for Medicare or Medicaid reimbursement for services provided under the agreement, it also engages in ambulance fraud. This is a complex area of the law. The Office of Inspector General at the U.S. Department of Health and Human Services issued five advisory opinions about potential conflicts of interest related to ambulance services in 2013. However, the complexity of the law does not excuse service providers who are reimbursed money from Medicare to which they are not entitled. The United States loses more than $60 billion annually to health care fraud like these. When it learns of fraud, it can bring a lawsuit to recover money paid out under the False Claims Act or prosecute the individuals responsible under criminal statutes. The United States relies on two methods to detect incidents of ambulance fraud: statistical analysis and whistleblowers. In cases of fraud related to unnecessary transportation, the United States analyzes Medicare and ambulance data for statistical abnormalities to learn of regions with a high likelihood of misconduct. Among the statistics considered by regulators are the amount of money paid by Medicare for the average ambulance patient and the number of ambulance companies per 10,000 Medicare beneficiaries.